Manchester United winger Anthony Martial is reportedly close to triggering the goal bonus clause in his current contract at Old Trafford. The Frenchman started for the Red Devils on Wednesday in the Champions League against Young Boys in Switzerland and scored the third goal of the game in a 3-0 win for the visitors. At the start of the new Premier League campaign, Martial has found playing time hard to come by under club manager Jose Mourinho, who has preferred to use Alexis Sanchez, Marcus Rashford and Jesse Lingard ahead of him in the starting XI. The 22-year-old joined United back in 2015 from AS Monaco for £36 million – as per BBC Sport – and has since gone on to appear over 130 times in the famous red shirt, scoring 37 goals. 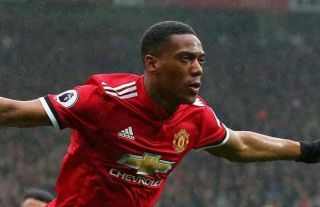 Despite a blistering start to life at Old Trafford, Martial has fallen out of favour with Mourinho in recent years and was thusly linked with a move away from the club during the summer transfer window, according to the Telegraph. However, new details of his contract have emerged on Friday which could earn his former club Monaco a bonus fee, as the goal clause in his contracts states he will earn £7.2 million if he scores 25 goals in the Premier League before 2019, as the Mirror reports. Martial is in fact currently sitting on 24 goals in total in the top-flight of English football, which means he is just one goal shy of triggering the clause, which would see all the money go to his former club in Ligue 1. The French outfit obviously believed in the midfielder’s talent enough to include the shrewd clause in his deal at Old Trafford and if he can start for United against Wolves on Saturday there is every chance that he will finally reach that mark. Our record v Wolves ? Mourinho’s men will be looking to secure their third successive league win against the newly promoted club, to continue their rise up the table following a disappointing start to the campaign.